The whitewater park proposal had been brought forward by nonprofit We Love Clean Rivers, which envisioned the construction of a large-scale manmade whitewater channel through the project site. In making its decision, the partners group reflected upon the desire to avoid additional costs and delays to the riverwalk as well as other concerns. 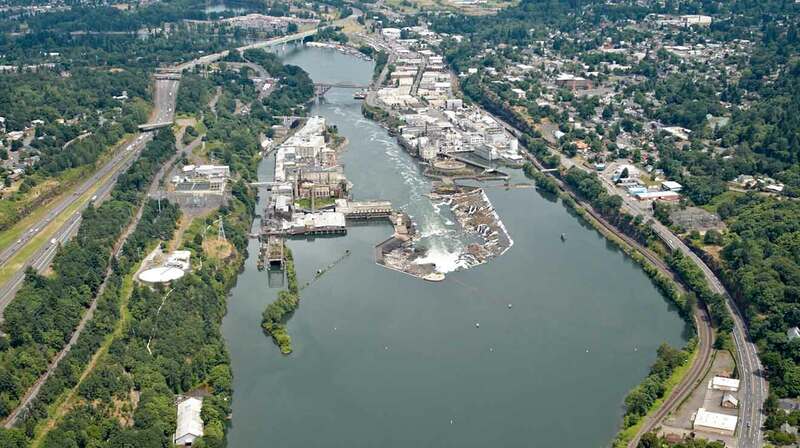 “It is important to make clear that as riverwalk design proceeds, the Willamette Falls Legacy Project will strive to incorporate the community’s desire for river access, such as portage trails and water trail connections, to create opportunities for kayaking and other water activities, “ said Kathleen Brennan-Hunter, Metro Director of Parks and Nature. The Willamette Falls riverwalk is envisioned as a world-class public open space and walkway to Willamette Falls, the second-largest waterfall by volume in North America. The project has received tremendous community input that will be reflected in riverwalk design alternatives planned to be released for public feedback in November.